How can you monetize your app? If you are a technical person, chances are you find this much more difficult than developing the app itself. This is why we decided to work on a list of tools that will help you increase the revenues you make from your app. To elaborate this selection, we enlisted the help of Israeli entrepreneur and Apptopia‘s CEO Eliran Sapir, who is in the process of writing a book on the topic. Besides the tools themselves, Sapir insists on the need to test everything you do, from pricing to localization – your main market may not be the US! Not only is in-store search a huge traffic driver for apps, but it is entirely free. As an app developer, this means that you have no excuse not to optimize the keywords through which your app will be found. In other words, you have to make sure your description includes the exact words your users are likely to search for. To do so, we recommend you to use Google AdWords Keyword Tool, a great place to discover the best keyword ideas for your app. While offering your app for free doesn’t seem the easiest route to monetization, it is actually a great way to boost its visibility, which should result in increased earnings in the long term. For instance, setting your price to $0 for one day could get your app featured in the “Now Free” section of a popular app discovery platform such as AppsFire. In addition, it may also buy you a mention in some of the many other apps and sites that dedicate themselves to highlighting interesting price drops or good applications that are temporarily free, such as Monster Free Apps,FreeAppAlert, iOS Junky, Free App A Day, AppsGoneFree, and AppsFire’s own Deals app. Yet, it is worth noting that simply going free won’t necessarily win you a listing – you also have to make sure your app is already popular. For instance, AppsGoneFree only features apps that have at least a three-star average rating at the time their promotion starts – which takes us to the next point: how do you make sure your app gets the kind of reviews that will drive more users to download it? Apptentive is a tool to collect user feedback within your app. For instance, you can use push notifications to ask your users whether they love your app. If they do, you can ask them to post a review, as chances are these will be positive and help you convince more users. While this is an interesting use, Apptentive isn’t only about getting good reviews. For instance, you can ask unsatisfied customers for more details about their dislikes – and hopefully make them happy again. In other words, Apptentive focuses on customer satisfaction, which is obviously the best road to monetization. It’s also worth noting that Apptentive is only one of the tools that help you keep your users engaged once they have installed your app. For instance, Appoxee lets you send and track push notifications, while Kiip delivers real-life rewards for virtual achievements, which will give players one more reason to keep using your app. As for AppsFire, it has also developed an SDK called App Booster to help developers improve retention through notifications. In addition, it also includes other features, such as cross-promotion tools and analytics. 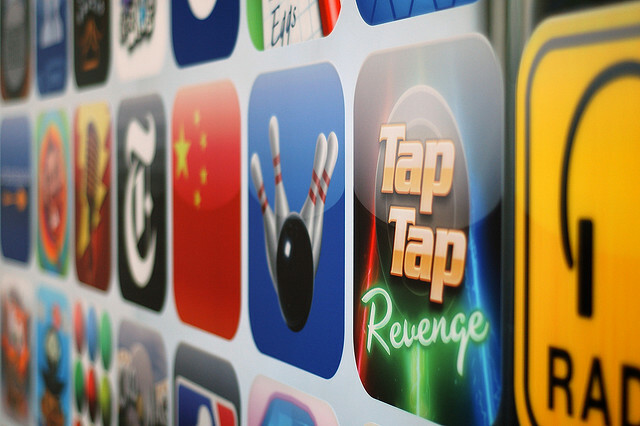 There’s no denying it: advertising is a key element of app monetization. While it may be annoying for your users, there are more and more tools that provide you with relevant and entertaining ads. This is the case of Vungle, a young startup that lets you display 15-second in-app video trailers for other apps. To start displaying Vungle’s ads, all you have to do is to integrate its SDK, and you will start getting paid right away. This is the difference Vungle is selling: the ease of use of a solution that is entirely focused on video trailers. As you can imagine, this option is also worth looking into as an advertising support for your own app. If that wasn’t enough to attract developers to its platform, Vungle has also recently announced the creation of a $1 million developer fund. This is a sizeable amount of money – and as much as half of the seed funding it secured from prestigious backers such as Google Ventures, AOL Ventures, SV Angel, SoftTech VC, 500 Startups and Angels such as Scott McNealy, Tim Draper and Maynard Webb. Vungle is only one of the platforms that let you promote your app within other apps; so does AppCircle, which was developed by the analytics company Flurry. As we first reported in 2010, the product works both ways: you can either get a referral fee from other apps you promote, or advertise for your own app. As a matter of fact, AppCircle markets itself as a cross-promotional network, rather than a plain ad network. The fact that it comes from an analytics company is no accident. “Using Flurry Analytics, which measures how consumers use a large number of applications across iPhone, Flurry AppCircle then recommends relevant apps within other apps the consumer is using,” its FAQ explains. When asked which ad network to use, Sapir’s answer is simple: “All of them.” His recommendation is to use an ad network mediation tool such as MoPub, which will help you switch between networks to make sure you are always using the most profitable one at all times. MoPub describes itself as an ad management platform for mobile apps. While it doesn’t do away with the need to sign up with each network, you only need to implement once. More importantly, ad mediation is only one of its functionalities, as it also includes other ad types and real-time bidding campaigns through its MoPub Marketplace (see our previous article). According to its website, MoPub was founded by former AdMob and Google team members in San Francisco, although it also has offices in NY. It is backed by Accel Partners and Harrison Metal Capital and has raised over $7 million in venture capital to date. Have you ever thought of monetizing your app by selling merchandise? It may sound difficult at first, but Tap2Print actually makes this very simple. It provides developers with an SDK that lets them set up a shop where they put merchandise up for sale, while Tap2Print handles the actual logistics, its CEO Assaf Margalit told us at TC Disrupt in NY last May. When its US competitor Sincerely lets apps sells physical pictures, Tap2Print offers a wider range of products, from mugs to magnets and posters. As for developers, they get a commission on each sale, while adding an interesting feature to their app. In some cases, selling these goods can also be the whole purpose of the app – a description that perfectly applies to CaseApp, which is the result of a partnership between the photography app developer Dropico Mobile and Tap2Print. As we reported, this app lets you design your own iPhone cover, and get it delivered to your door – a good example of what Tap2Print enables. Sapir describes his platform Apptopia as a Flippa for apps (as you may know, Flippa is a marketplace for websites). If that doesn’t ring a bell, you could also say that it is an eBay for app developers. In practice, it is a place where they can auction ownership of their app. So what are they selling? Well, their users, their revenues and source code. If you are wondering who the buyers are, it can vary from a competitor who wants to get rid of a similar app or acquire your technology to a big corporation that wants to acquire an existing audience – think mergers and acquisitions in the app world. According to Sapir, this solution can be attractive both for buyers and sellers: “Many times, it’s cheaper to buy an app than to build, so give it whirl you might get an offer far greater than what your app stands to make in its lifetime,” he says. How do you monetize your apps? Let us know in the comments!